These sparkling stars lighten the skys to enhance the feeling of the holidays. 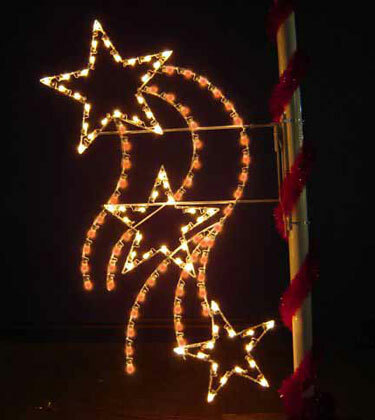 The star silhouette is made with durable plastic clips which hold the lights securely. No tape!